WASHINGTON, D.C. -U.S. Senators Pat Toomey (R-Pa.) and Charles E. Schumer (D-N.Y.) are working together to protect American dairy farmers and producers from an absurd European initiative that would change common names for cheeses Americans enjoy every day. In a bipartisan letter signed by more than 50 of their Senate colleagues, Sens. Toomey and Schumer urged the United States Department of Agriculture (USDA) and the United States Trade Representative (USTR) to fight European Union (EU) efforts to prohibit American dairy producers from using dozens of common cheese names. The EU claims that dairy products bearing names such as asiago, feta, parmesan, and muenster are "geographical indicators" and can only be appropriately displayed on products made in certain areas of Europe. If the United States were to be subjected to a ban of these traditional brand names for various cheeses consumers may be confused and American dairy farmers could suffer. "Can you imagine going into a grocery store and cheddar and provolone are called something else?" said Sen. Toomey. "Generations of dairy farmers and producers have worked hard to cultivate a product and brand that resonates with consumers. Efforts by the EU to establish trade guidelines which would restrict branding are ridiculous and threaten Pennsylvania jobs. I urge the USDA and the USTR to fight back against any attempt by the EU to restrict the use of these familiar brand names." The National Milk Producers Association, International Dairy Foods Association, U.S. Dairy Export Council, American Farm Bureau Federation, Kraft, Leprino Foods, and others support Sens. Toomey and Schumer's efforts. 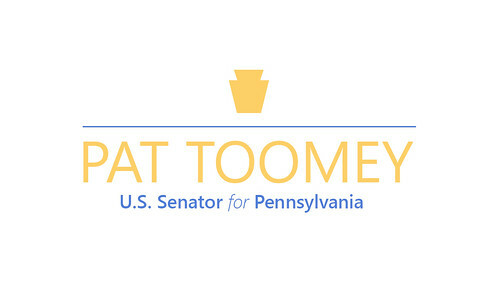 "I commend Sen. Toomey and others for taking a stand for Pennsylvania's dairy industry on this important trade issue. The growing restrictions on commonly used cheese names may negatively affect the ability of Pennsylvania businesses to compete at home and abroad," said Pennsylvania Department of Agriculture Secretary, George Greig. "Ensuring that Pennsylvania dairy farmers and producers are able to operate without excessive roadblocks and red tape is essential. With this in mind, I appreciate Sen. Toomey's work to ensure that dairy farms and producers are able maintain their well cultivated brands. I hope the USDA and USTR follow Sen. Toomey's lead and reject any ' geographical indicators ' overtures made by the EU," said Tioga County Commissioner, Erick Coolidge. "Geographical indicators are a concern for Pennsylvania agriculture. For example, since a considerable portion of our agriculture economy is derived from dairy, Pennsylvania dairymen, dairy-related agribusiness and consumers are likely to feel the brunt of restricted use of common names for dairy products, such as 'feta.' We are pleased to see so many signatures on the letter drawing attention to this important issue," said Pennsylvania Farm Bureau President, Carl T. Shaffer. We commend your past work to fight the growing geographical indication (GI) restrictions promoted by the European Union (EU). This trade barrier is of great concern to dairy and other food manufacturers in our states. On their behalf, we urge you to continue to push back against the EU's efforts to restrict our cheese exports, particularly to nations with which we already have free trade agreements. In addition, we urge you to make clear to your EU counterparts that the U.S. will reject any proposal in the Trans-Atlantic Trade and Investment Partnership (TTIP) negotiations now underway that would restrict in any way the ability of US producers to use common cheese names. In country after country, the EU has been using its free trade agreements (FTAs) to persuade its trading partners to impose barriers to U.S. exports under the guise of protection for its geographical indications. This trade-damaging practice is concerning anywhere, but it is most deeply troubling where the U.S. has an established FTA or has been actively in the process of negotiating a new agreement. For example, Canada agreed as part of its recently concluded FTA with the EU to impose new restrictions on the use of "feta" and other common cheese names. Common names for products such as "feta" are clearly generic in Canada, as they are in many other countries. These restrictions not only threaten harm to the companies currently involved in the Canadian market, but they would also impair market access for U.S. dairy products that we are now attempting to secure under ongoing trade negotiations. Similar trade barriers are cropping up throughout Latin America as well and are under discussion in many Asian countries involved in negotiations with the EU. Reportedly, the EU now seeks to more directly impair U.S. competition by imposing restrictions on the use of common food names through TTIP. In the states that we represent, many small or medium-sized family owned farms and firms could have their business unfairly restricted by the EU's push to use geographical indications as a barrier to dairy trade and competition. As we begin to engage in TTIP negotiations that are ultimately intended to bring about a better economic climate on both sides of the Atlantic by lowering barriers to trade, we strongly oppose the EU's gratuitous use of GIs as a protectionist measure. We ask that USTR and USDA continue to work aggressively to ensure the EU's GI efforts on commonly used cheese names do not impair U.S. businesses' ability to compete domestically or internationally and that you make this a top priority through both official TTIP and bilateral negotiations.